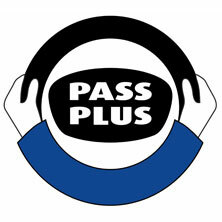 Pass Plus is a training scheme for new drivers that’s aimed at improving your driving skills. As well as helping you to become a safer driver it could also entitle you to insurance discounts. Statistics show that new drivers are more likely to have an accident within the first two years of passing their test than at any other time in their driving career. ‘Lack of experience’ is cited as the main factor. So developing your driving skills will enable you to drive more safely in all conditions and on all types of road. The course has been designed in six modules. Each of the modules will not take the same amount of time to cover. However, the course must consist of a minimum of six hours’ tuition, five & a half of which are practical in-car driving sessions. This does not necessarily mean six sessions – the number of sessions required will depend on the ability and progress of each pupil. Theory sessions may take place indoors, using videos, films or slides, or in the, car using specially-prepared materials. Pass Plus can also entitle you to cheaper insurance!